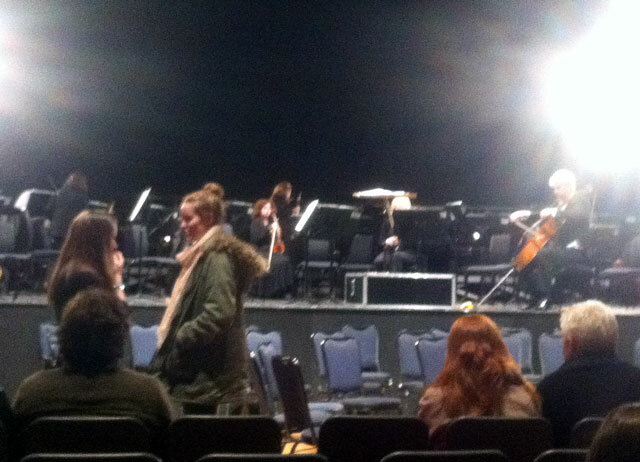 Fergus Sheil conducted the Mayo Youth Orchestra and the National Symphony Orchestra in the Royal Theatre on Thursday evening. 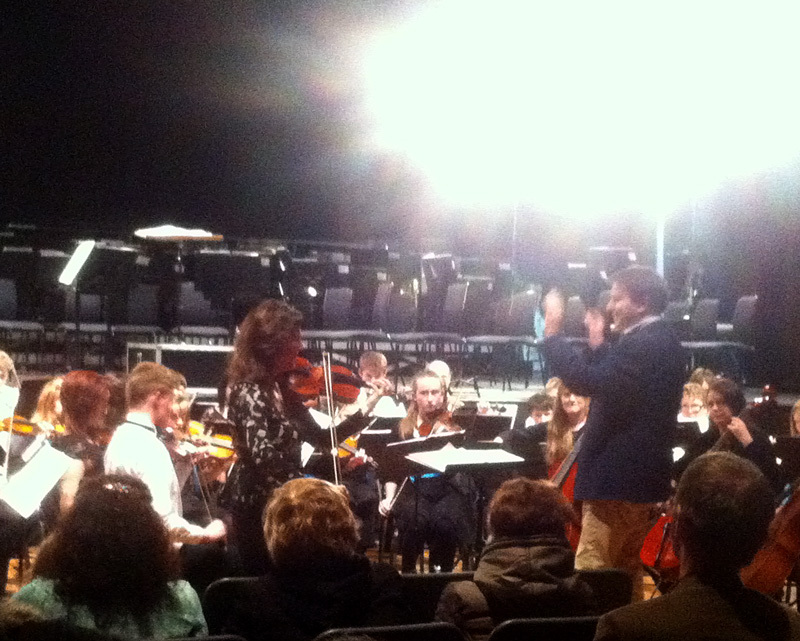 The Youth Orchestra also got to accompany one of the world's most famous and celebrated violinists Tasmin Little. She played the first movement of Vivaldi's Spring Concerto accompanied by the Mayo Youth Orchestra. The youngsters will be able to dine out on 'I remember the night I played with Tasmin Little' for years to come! They stayed on to hear Tasmin Little play the famous Bruch No 1 Violin Concerto with the fabulous NSO. Below some iPhone photos taken on the night - not very clear but hopefully give some of the atmosphere. 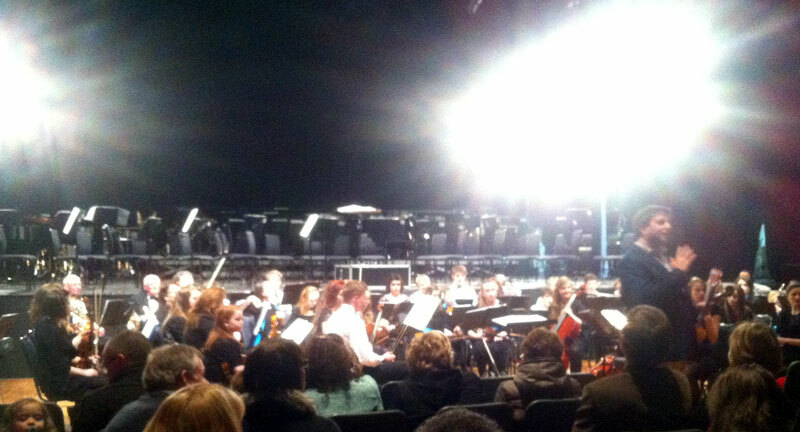 The orchestra warm up conducted by one of their regular conductors Ann Moriarty. Fergus Sheil introduces the next piece. 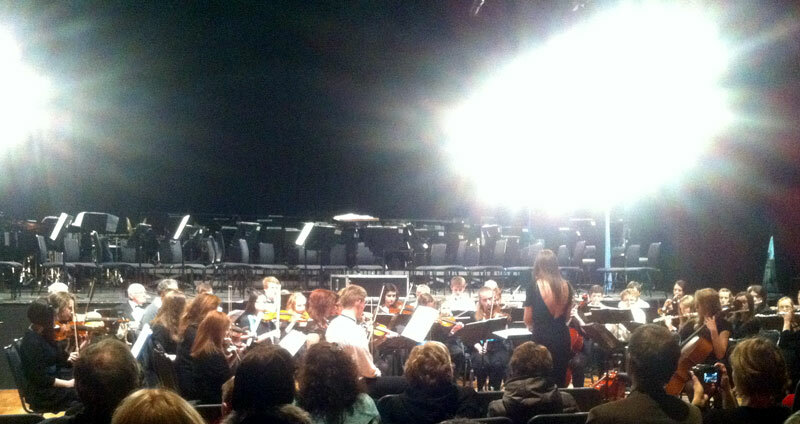 The orchestra accompanying Tasmin Little. 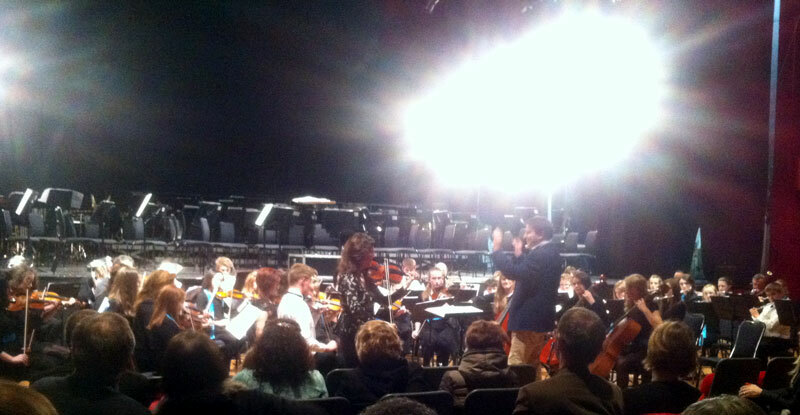 Tasmin Little played the solo part in Vivaldi's Violin Spring Concerto with the Mayo Youth Orchestra accompanying her playing the first movement.